ARE YOU READY TO FIND SOME CALM? No matter what your day or life brings you, my goal is to gift you space and time to explore self-love, discovery and healing through yoga and breath. 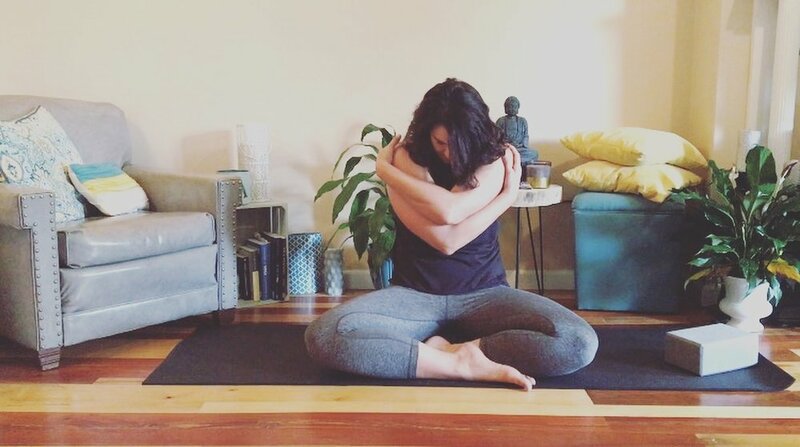 I have a deep connection with yin yoga, and I have made it my mission to share this practice with others. But that's not all. Keep scrolling to find more yoga-goodness below. The perfect combo for tight hips! Whether you're training for a marathon, or just have discomfort in your hips, these two yin yoga classes might be just what you need. Welcome to my living room! Nothing better than free yoga, right? I set out to do YouTube videos so I could share my passion of yin yoga, and other types of yoga to anyone, anywhere. From beginner to advanced, you'll find a class suitable for your level or whatever you might need. Click the button below to explore my filmed classes! Yin yoga is a transformational practice that integrates equal parts mind and body. It's a practice that forces you to confront your mind, and start discovery how different movements affect you. It is an amazing practice for any busy lifestyle, athlete or anyone seeking more calm in their life. In a yin class, we focus on finding a passive pose and holding it for a few minutes at a time to target connective tissue (fascia), bones, tendons and joints. A traditional yin practice is very low to the ground, with focuses on the back, hips and legs. Yin yoga also works with energy channels (meridian lines) from Chinese Medicine to help balance our Chi. Although it may look easy, it can be an intense practice. As you continue your practice, you can begin exploring longer holds. A yin practice is a great way to begin a meditation practice, learn more about your body and release stress. Get the latest updates on new classes, events, travel and more! I promise I won't spam you or sell your information. I'm grateful you're joining my tribe!